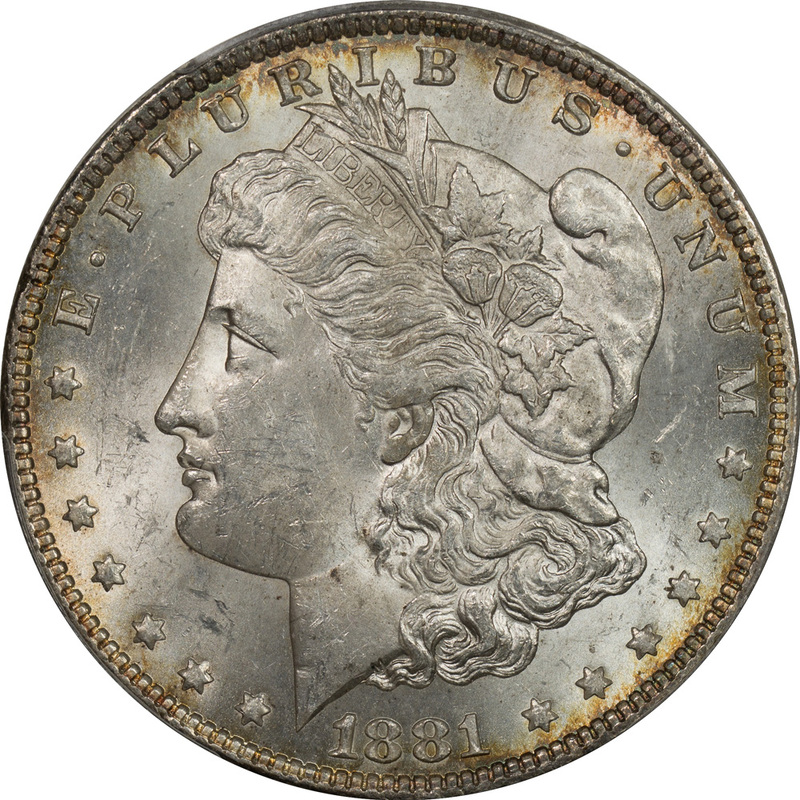 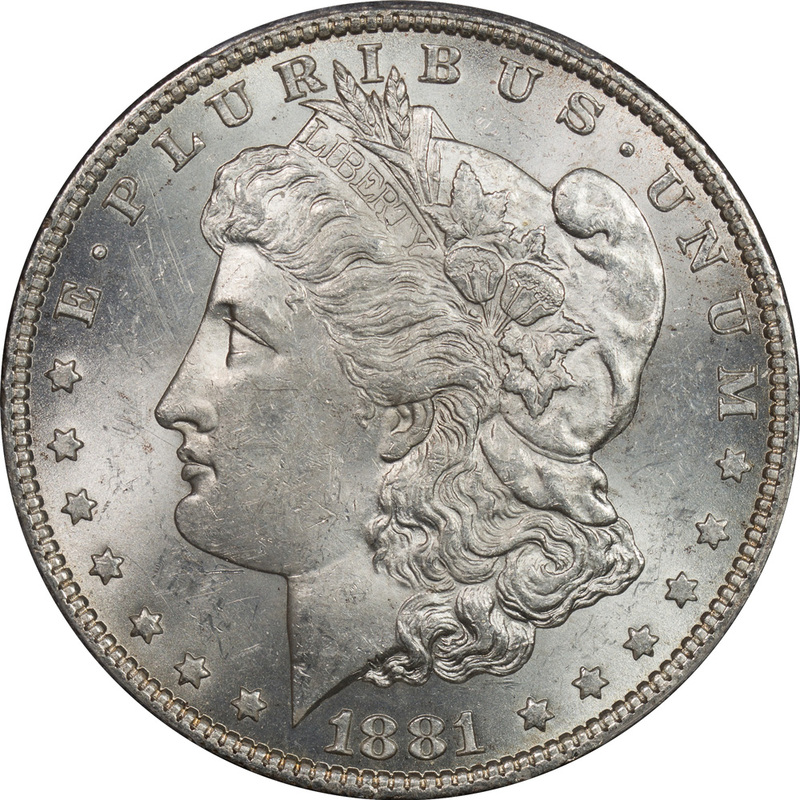 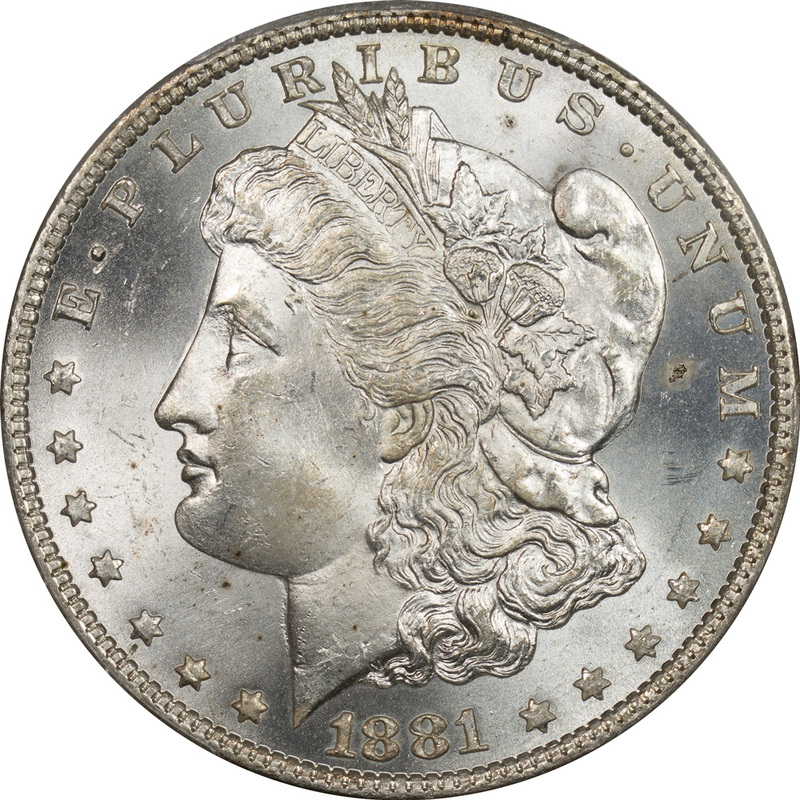 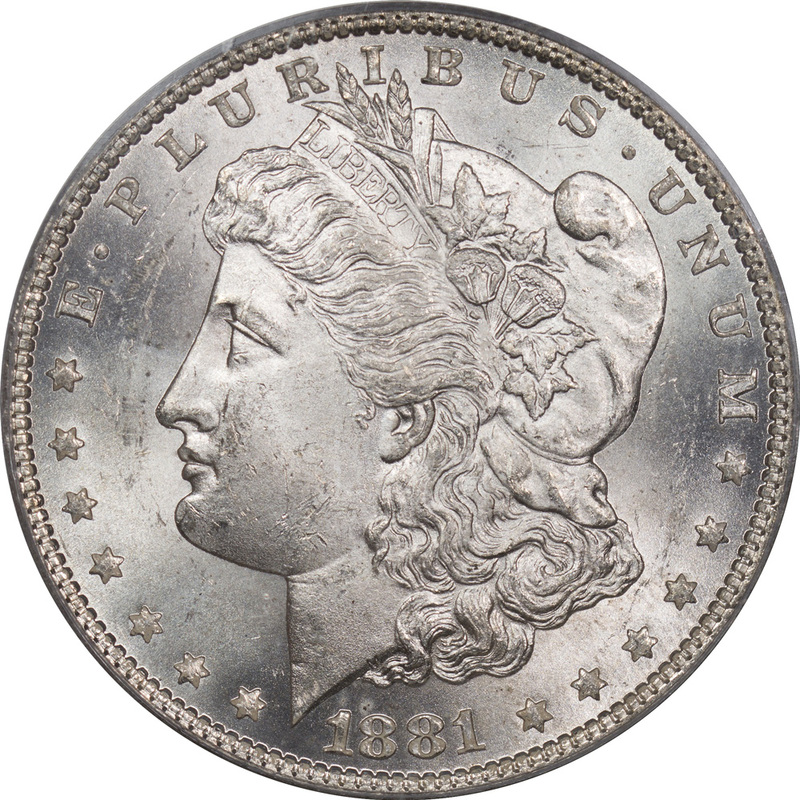 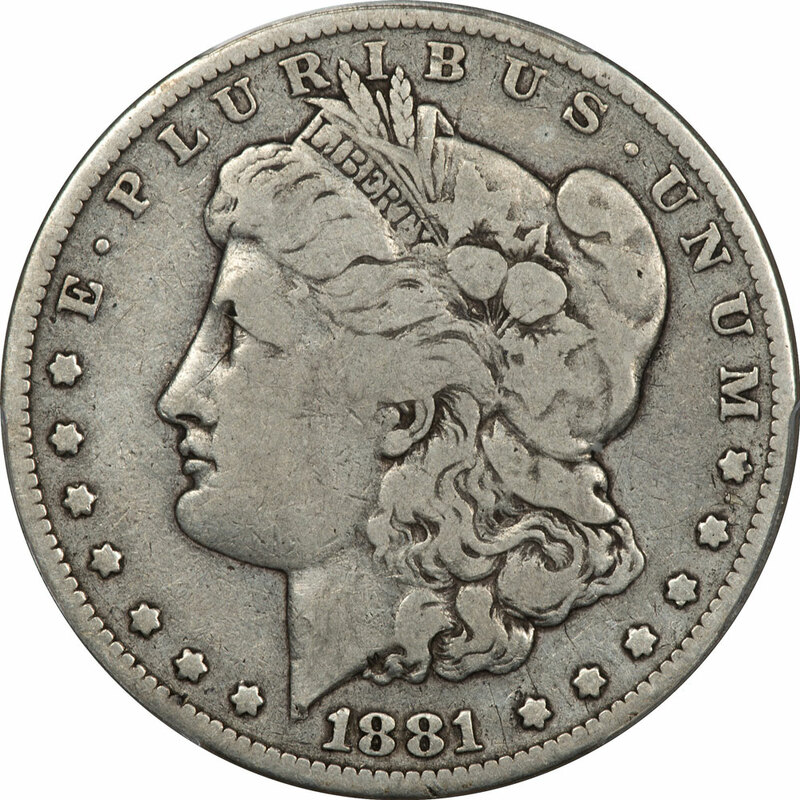 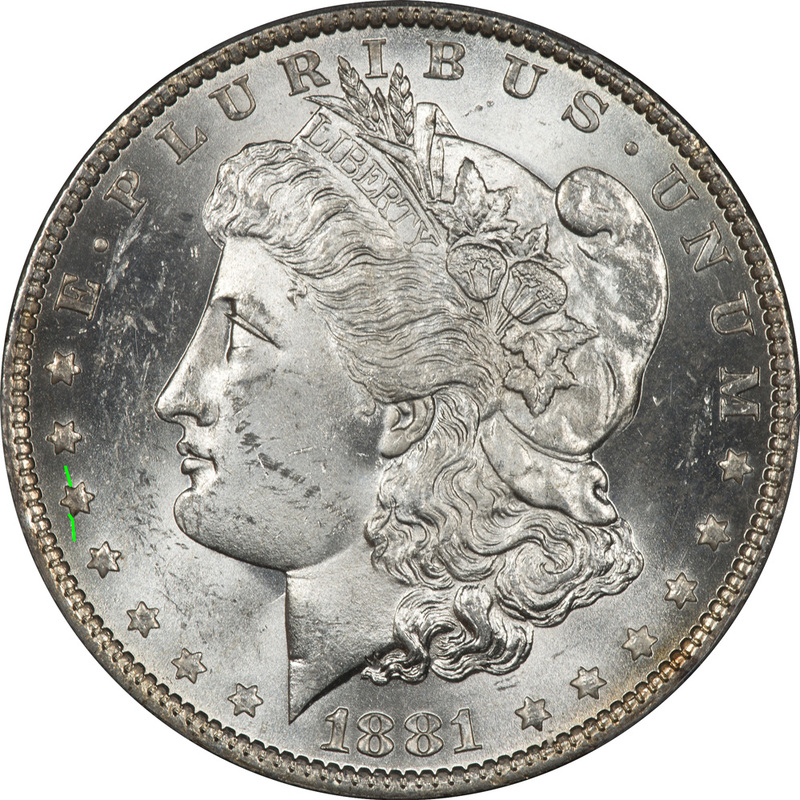 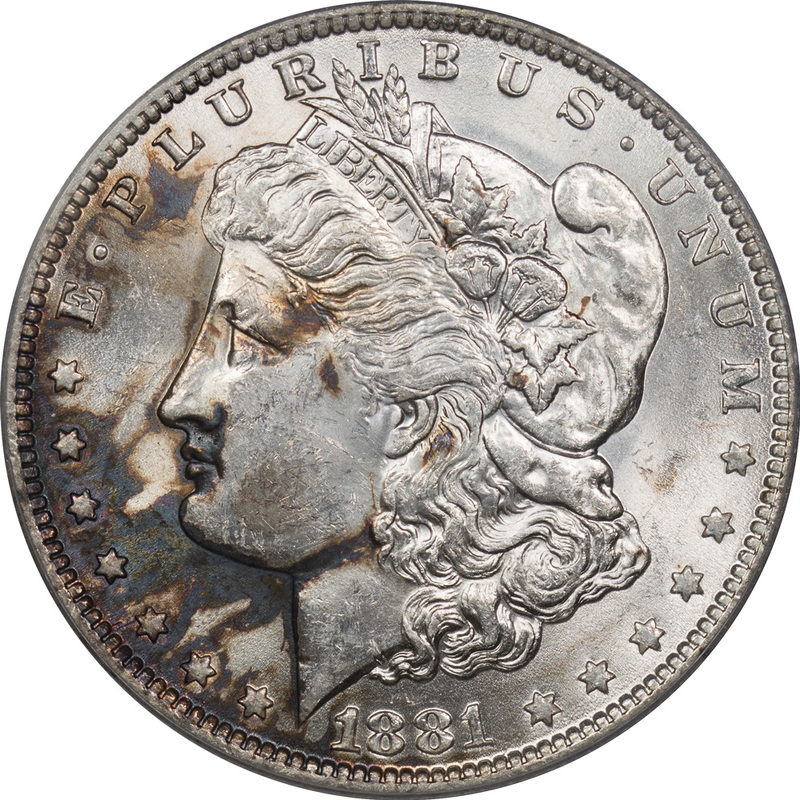 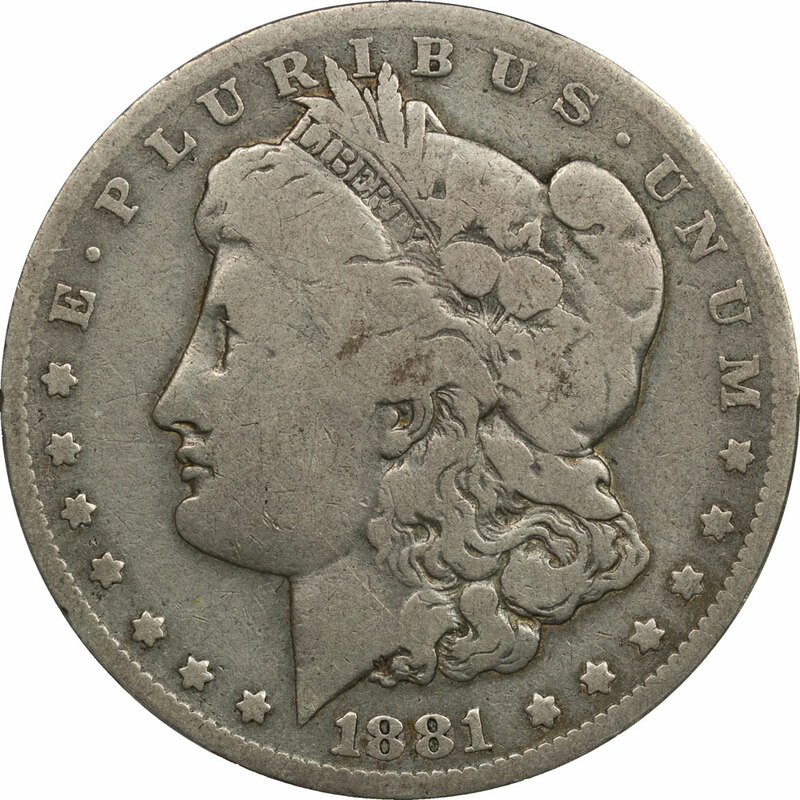 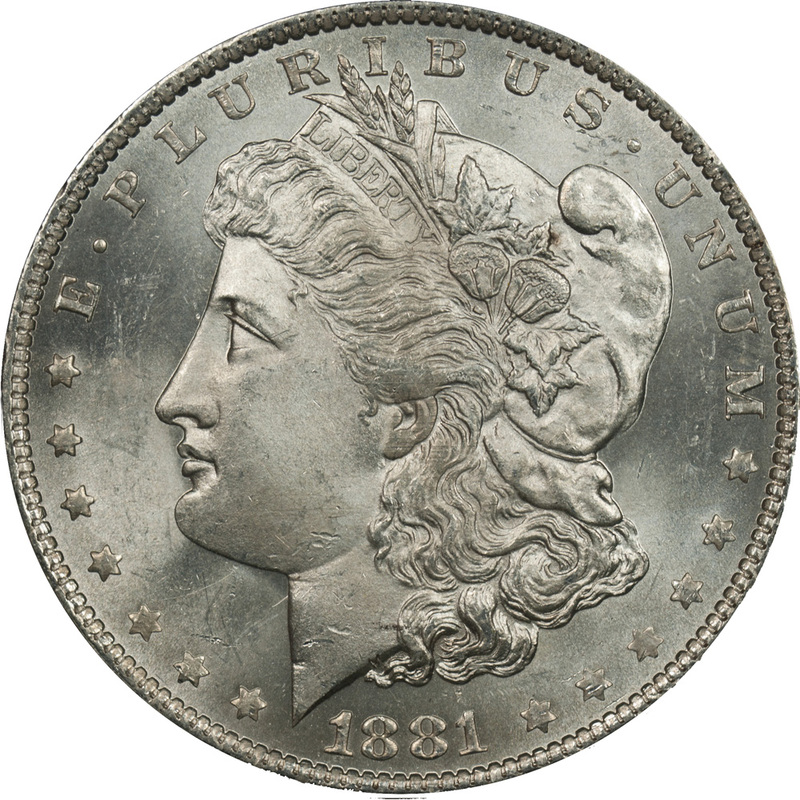 Obverse Die 1 is somewhat unique because by definition it is a die without distinguishing characteristics, and it is the reverse pairing that creates the VAM. 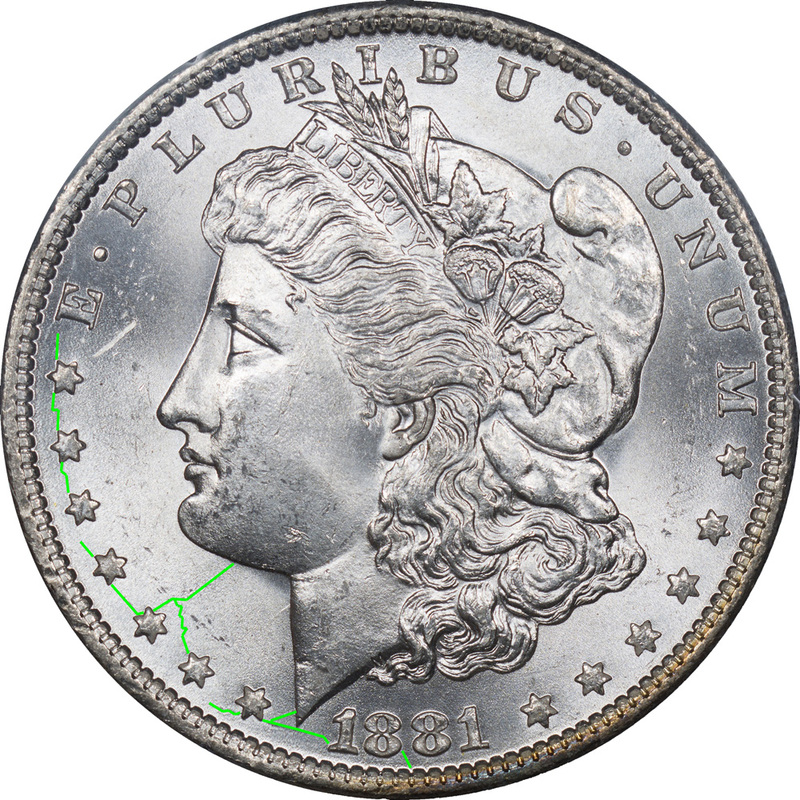 However, that just creates a different type analysis where we analyze the Die 1 pairings to see if there are die cracks or breaks that will identify associations between these otherwise featureless dies. 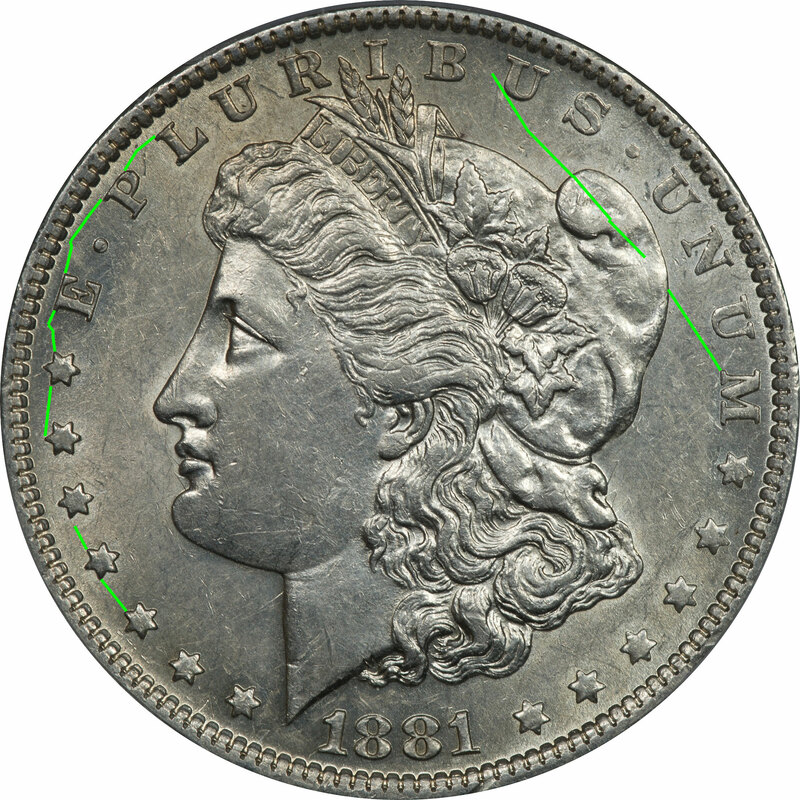 As of this analysis there are twenty-nine Die 1 pairings, so a significant portion of all identified VAMs are reverse die focused. When we get to the reverse dies a similar issue will exist for Reverse Die a. 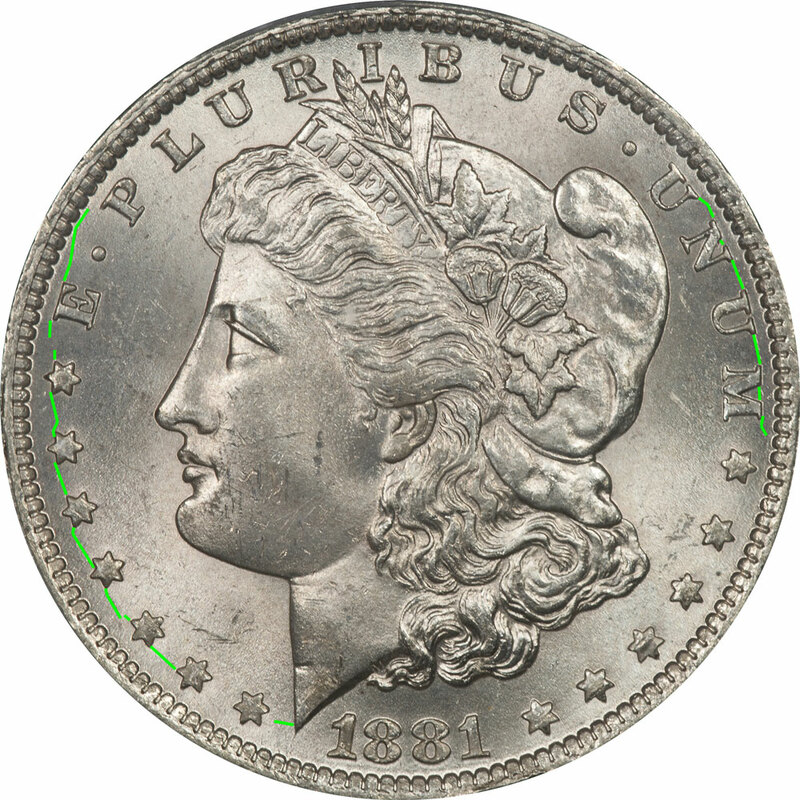 Although incomplete in its detail, you can see a matrix of all die pairings here. 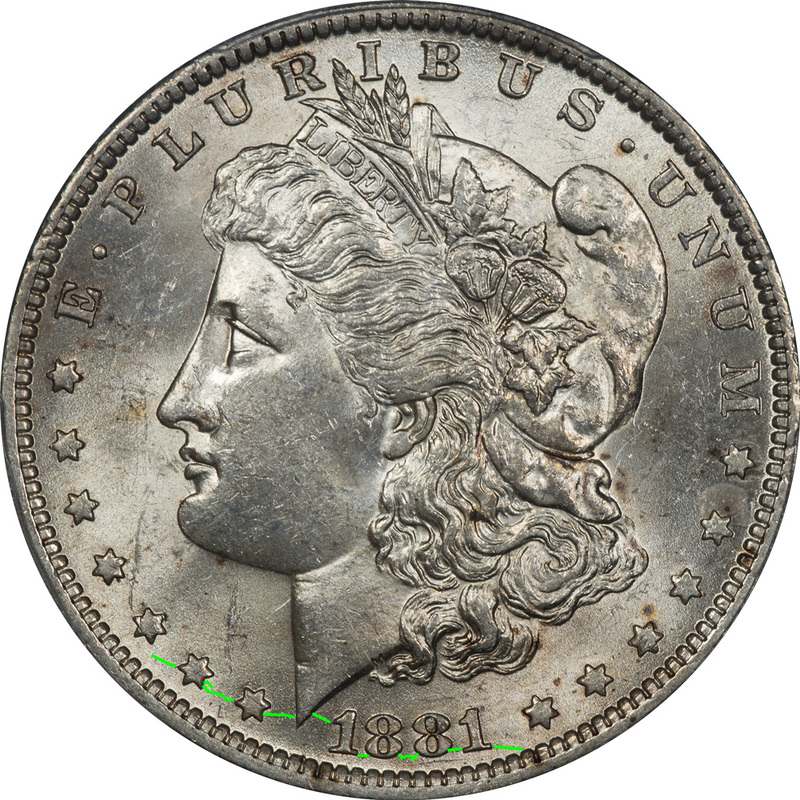 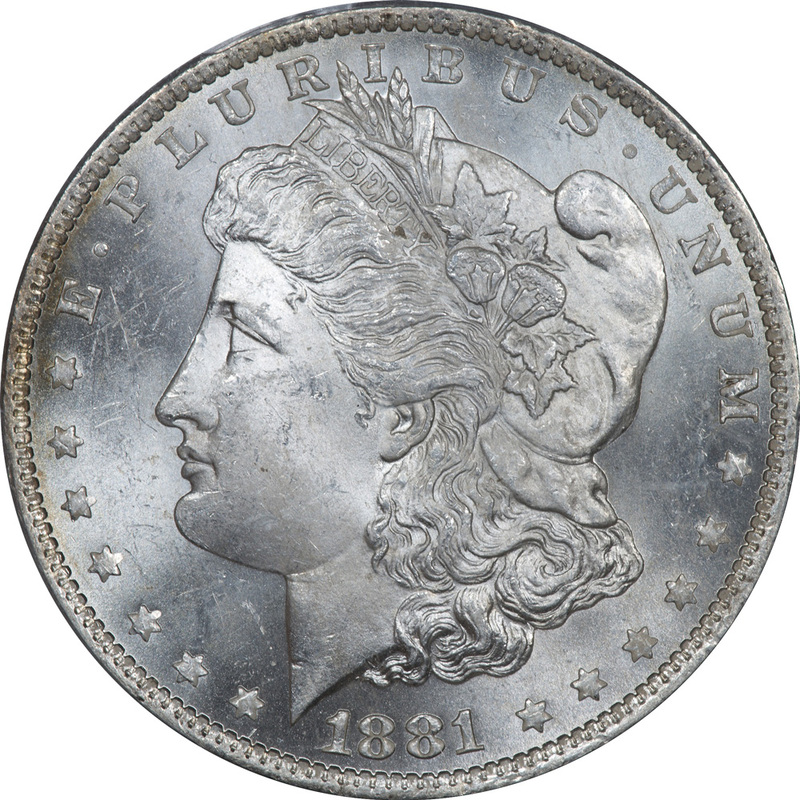 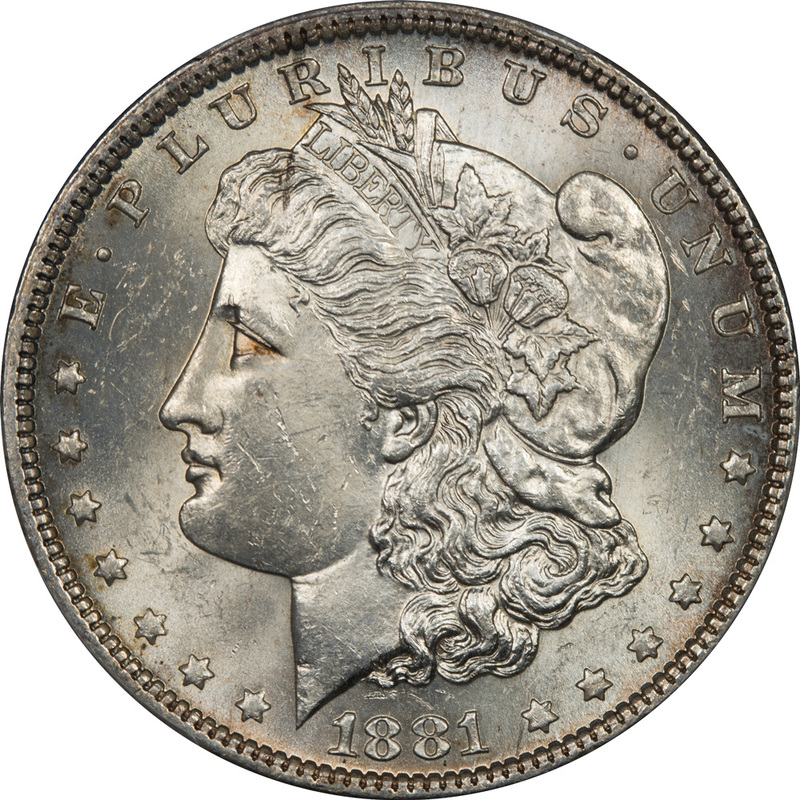 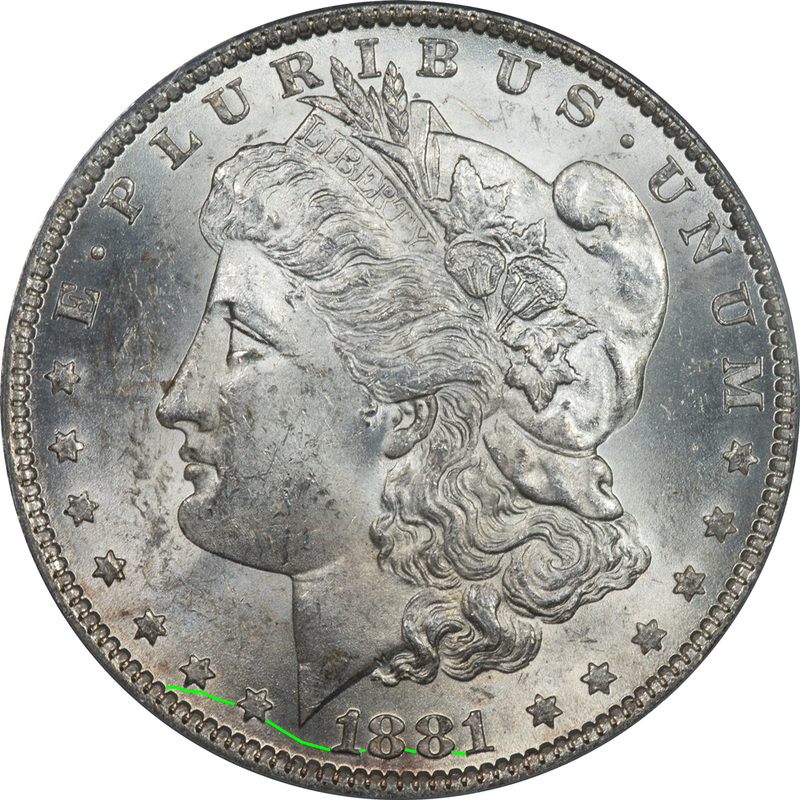 All coins in this analysis are officially designated as Obverse Die 1. 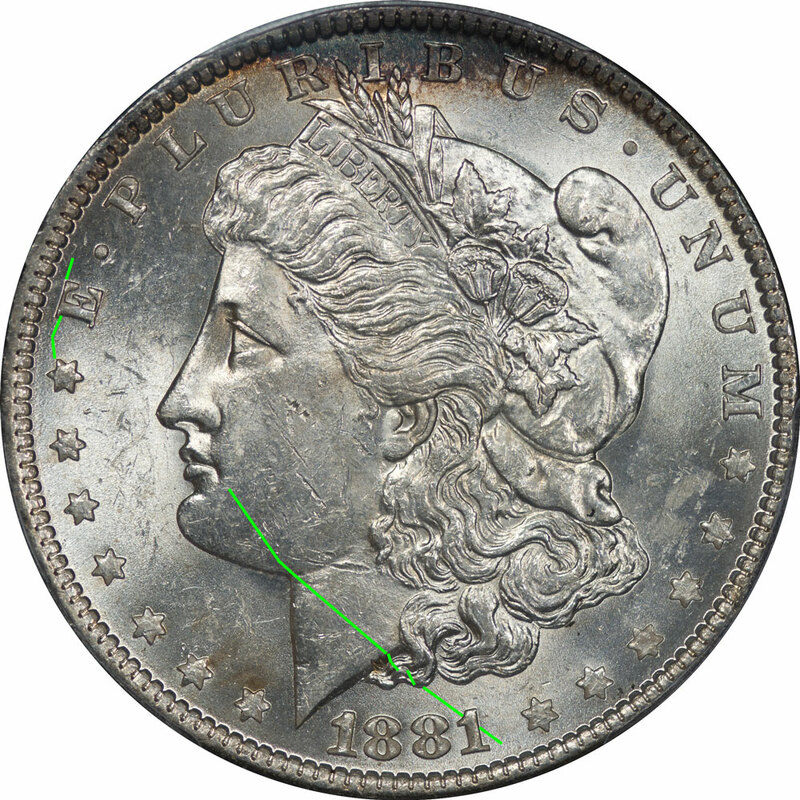 VAM 1A is defined as the "Spike in 8"
VAM 1B1 is defined as "Die Gouge in DOL & Denticle Impressions above DOL"
Our collection dies not contain a VAM 1I "Clashed obverse n and st"
Our collection does not contain a VAM 1K "Clashed n and st"
Our collection does not contain a VAM 21 "O/O Top Right"
We have only one example of a VAM 59 "Doubled Reverse Legend and Motto." 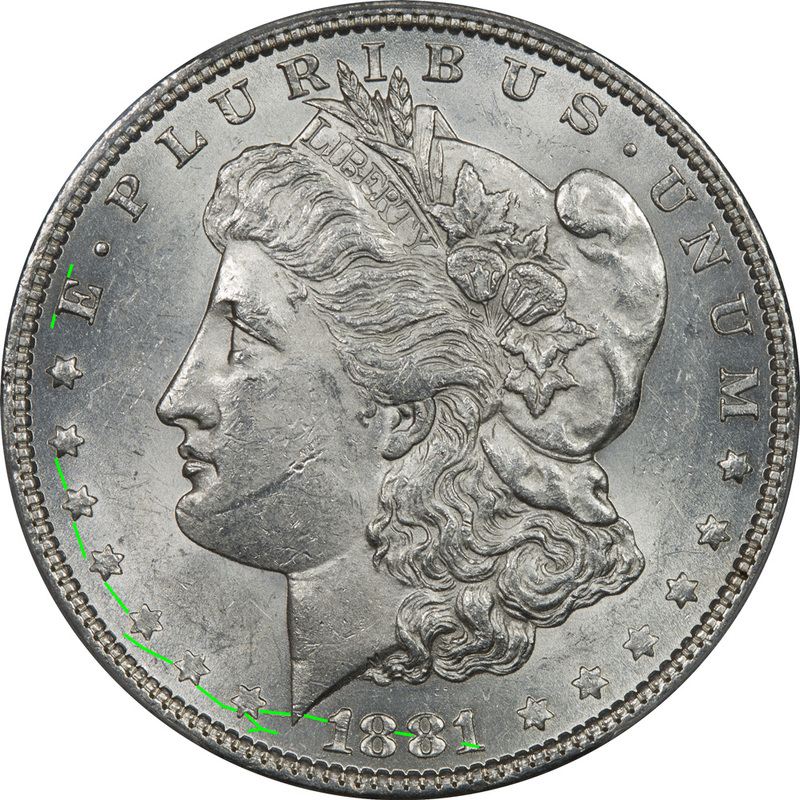 It is an MS 62 and die cracks would show clearly at this grade. The one example shows no die cracks or breaks, but more data is needed. 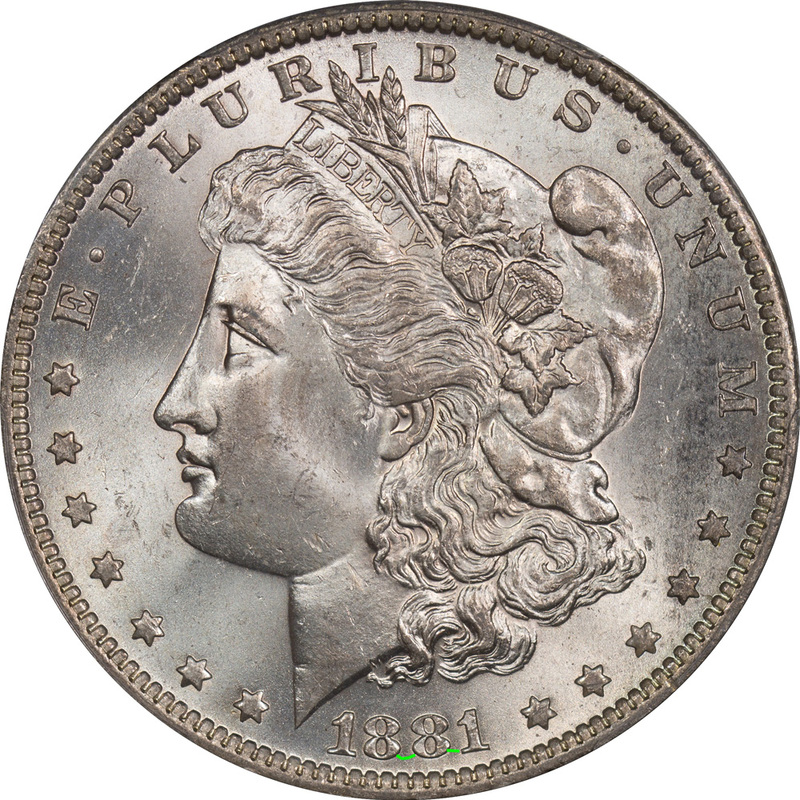 We have five examples of a VAM 38 "Tripled Left Wreath, Double Legend"
The range in grade from Au 55 to MS 64. We have three examples of VAM 44 "Doubled Reverse Legend & Wreaths, Vertical Die Scratch in Front of Eye."